The final countdown to Africa’s biggest adventure race; Expedition Africa – Baviaans, has begun. Athletes from all over the world will begin arriving in less than 20 days to accept the challenge of taking on the gruelling and exciting 500km adventure race of a life time. 39 teams from 13 countries will arrive at Cape St Francis Resort, host venue to this year’s multi-disciplined international event that will play out in the Baviaans and Kouga region, pinnacle parts of the well known ‘Adventure Province’. ” Cape St Francis Resort has been waiting in anticipation to lay our eyes on the people who make up each team that will be taking part in this gruelling super-human endeavour. We would like to give each of them a tumultuous welcome to our ‘race village'” shares Fasie & Fiona Malherbe of Cape St Francis Resort. On Saturday; 13 May 2017, teams will be introduced to the invaluable work done by SANCCOB and get the opportunity to adopt a penguin. There-after teams will each lay a stone into the Expedition Africa landmark, which will be part of the event’s legacy. Another unveiling will take place thereafter, marking of Seal Point as the south eastern most point of Africa. The well anticipated race will kick off on Sunday morning; 14 May 2017 at 7am. Families, friends and supporters alike can cheer on their teams via the live tracking feed which will feature a leader board, all transition areas and checkpoints along the route. 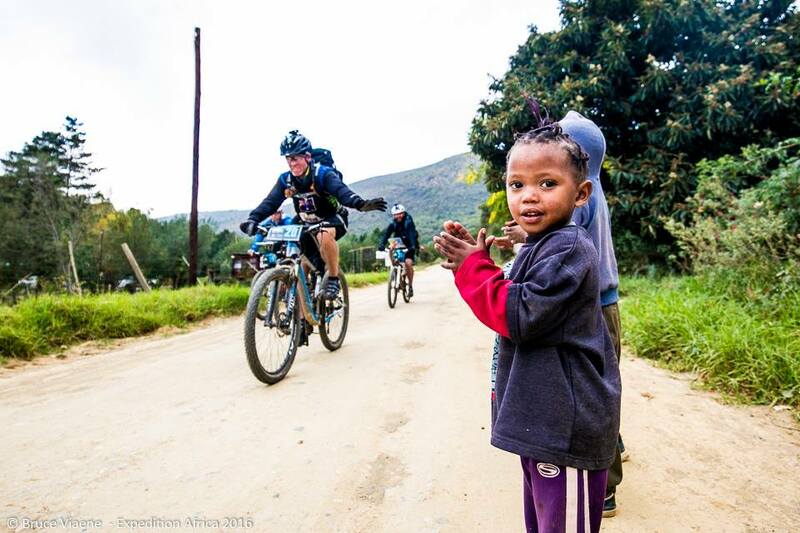 Witness your favourite team’s progress on http://www.expafrica.live as they endure a race of a lifetime. Local Supporters will have the opportunity to meet these amazing athletes in designated Transition areas all visible on the live tracking event page. This year, organisers are using the SPOT Gen3 satellite tracking device from Globalstar Africa, the leader in satellite messaging and emergency notification technologies. Due to the very remote destination of the event these ‘off the grid’ units have been tested, creating the way forward for Expedition Africa.” It is of utmost important for us to know at all times where each team is and for our viewers around the world to follow the event” said Muller. This year’s Expedition Africa race will not only be a physical struggle, but a mental one. Teams have a rugged adventure race to look forward to, as they are expected to race through the carefully designed course, which has incorporated all the challenging, yet beautiful attractions the glorious Baviaans and Kouga regions have to offer. “Teams will trek, kayak and cycle through extremely remote areas, venturing where few humans have set foot before. Expedition Africa 2017’s teams will explore through magnificent mountain ranges and onto beautiful coastlines of the Eastern Cape,” said Muller. The staff at Cape St Francis Resort wishes each athlete taking part in Expedition Africa – Baviaans a wonderful and relaxing stay at their resort. “Our dynamic hospitable team will be cheering each team on at the finish, where our ‘resort family’ will be on standby to cater for all team needs” shares Fasie Malherbe of Cape St Francis Resort.